Founded in 1966, Leisure World is one of the largest planned retirement communities in the Metro D.C. region. This is a gated community on over 600 acres designed to provide carefree living. Amenties include a golf course, onsite medical center, easy access to shopping, clubhouses, fitness centers and more. A range of patio homes, townhomes and condominiums provide a variety of affordable housing options. The median sale price for a home in Leisure World is around $160,000 making it one of the most affordable places in Montgomery County. 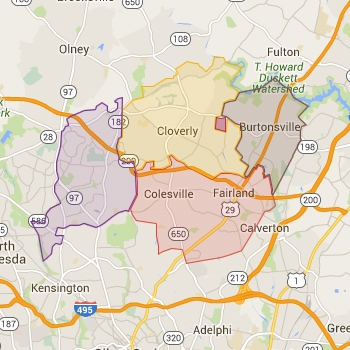 Most homes in Leisure World are assigned to the Rockville school cluster. Always verify a home's school assignment directly with MCPS. Overlook At Leisure World Bldg. Comfortable S model. Stainless steel, appliances, new cabinets and flooring, new paint, new carpeting,granite and quartz. Enjoy the amenities of Leisure World.